In the past I wrote about one or the other command line tool related to DSMI, but this one is quite handy and easy to use. DStrip makes it very easy to unpack and add a bunch of DirectSmile Set- or Document archives, in dZip format, to DSMI at once. The DirectSmile Document and Set export format is typically a Zip container that includes a lot of resources, like clip-, pic- or system fonts, a background image and more. While the Set preperation for instance, we usually add several scalings of the Set as well. The Zip Archive keeps the folder hirarchie and that enures that the Set is unpacked at the right place on your machine, which is typically the working directory. The DirectSmile Integration Server provides several methods to import Sets and Documents, I blogged about this here. Most of them, except the whole catalog import, have in common that you can import just one archive at once. The import can deal with dZips though, but one at a time. That’s where you can use DStrip. It can import as many dZips as it can find in a source folder and it can remove all scalings before the import to DSMI. 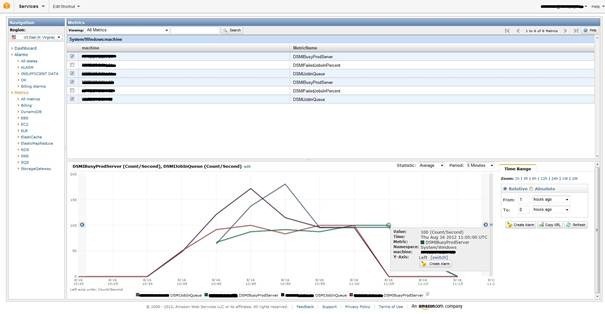 Scalings are igrnored by DSMI, because of the built-in autoscaling. Here’s an example, where I ran DStrip from c:\temp. I copied a few dZips into the temp\dzips folder before and ran the tool. All I need to specfify was the source- and the destintation directory. The DirectSmile Integration Server front end is using https and Forms authentication to authenticate and authorize DSMI accounts. That is a common way to ensure security and to allow access to specific users. On top of that you can add extra security to restrict access to specific parts in DSMI. To restrict the access to the server settings from the internet for instance, you can add the IIS feature called IP Address Domain Restrictions. This feature enables client IP based restrictions for a whole web site or a specific sub folder of an IIS applications. For the server settings example, this means that you want to add a restriction just for the ServerSettings subfolder. Setting up such a restriction is easy, all you need to deny the access from unspecified clients in the feature settings. Now we are denying every request, what is secure. Now we add an exception to allow requests from the local hostm only. While the server settings are still accessible from the local machine. With the next version of the DirectSmile Integration Server we will change a minor thing in the Image Set check-in process. Formerly if you checked in a DirectSmile Set the auto scaling was turned of and must have been activated manually. We changed that and now auto scaling is activated for a fresh uploaded Set automatically. It checks if the user checked in a SET and updates the autoscale flag. This is the third post of a series of blog posts about new cloud computing features in DirectSmile Integration Server version 5. In my last post about DirectSmile Integration Server 5 performance counters, which you can find here, I showed how the DirectSmile Intergration Server backend collects windows performance counters regarding the performance of DSMI. This helps most of all IT departments to monitor if the system is working properly and sufficient. In a cloud environment like Amazon’s EC2 this isn’t enough though, because Amazon provides us a very good platform, called Amazon CloudWatch, which is capable of monitoring all instances at once. CloudWatch can aggregate performance data and present it in nice graphs. On top of that, CloudWatch lets us add alerts and actions depending on the monitoring values. To get the performance counters written by the backend into CloudWatch I wrote a little CloudWatch client that runs on the machine that has the DSMI backend running. This client is a simple console application that can also be started as a Windows service, which is then running in the background. Once the client sends the performance counter data, the counters are visible in Amazon CloudWatch. Here’s a screenshot taken from Amazon CloudWatch, showing the production server load, of two DSMI machines, while job processing. Based on metrics we can setup alerts. We can for example define an alert that notifies us if the DSMIBusyProdserver value is hitting 100 % continuesly for 3 hours in a row. Or if the DSMIFailedJobsInPercent is rising above 5%. Depending on the DSMIJobInQueue you could spin up more EC2 instances to cope with the extra job load. This is a follow up of a post I wrote in back in 2011 regarding font installation on multiple servers in DSMI. While in this post I tried to paint a more general picture I now want to go a bit more into detail and shine a little light into configuration. This table is constantly scanned by the DSMWatchDog application that runs on all DSMI machines that provide DirectSmile Production Servers. Although we can have several watchdogs registered for the same DSMI, we can have just one watchdog per machine. So, each watchdog is responsible for the font installation on each machine. To ensure that each watchdog can persist the installation result of the fonts, each watchdog gets a unique id in the system. This ID is later on persisted to each font installation record. In this way the watchdog can check if it already installed the font and we can check the result of the font installation at any time. In the example we see the result from three watchdogs (100,200,201) that all successfully installed the font. The watchdog needs information to access the dsmodb database, where to find the dsmusers directory and a unique ID . We also can define a path where to write a log file. If we let the log file value empty, no log file will be written. Those settings are stored in the .net based application configuration file. You can find both files in the DirectSmile Online Backend directory. Giving the different instances of the DSMWatchDog unique IDs we can run the font installation on different machines in a DSMI environment. The limitation that the watchdog can only install fonts on DSMI servers (master or client in replication scenarios) is over. That makes it possible that even servers that just provide Production Servers to a DSMI can profit from font installation. Despite the information in the application icon balloon, the InstallationResult gives the DSMI operator a detailed hint about what and where failed in case a font installation went wrong. Today I would like to list some of the typical reasons why DSMI services fail to initialize or why you can’t access those services. Below you will find a short to-do or what-to-check list, that I’m going through when ever I have problem. Those are all things that you can easily do. DirectSmile relevant certificates are stored in the localmachine/my certificate store. Please check if you have just one certificate with the common name that is addressed in the web.config file of DSMI. If you have multiple certificates, then it’s impossible for the web server to distinguish between the certificates and the initialization of the WCF services will fail. This error is often the case if you requested a new certificate from your CA, because the old expired and you forgot to remove the old one from the store. If not, you receive a HTTP 500 (Internal Server Error) Status Code. If you have access to the server, a check in the event log is always worthwhile. Typically you will find errors indicating why a service could not be started. The time difference between the client and server is immanent to establish an SSL Connection. The difference must be less than 5 minutes between the server and the client. This is independent from time zones, because the server and client local time is always mapped to GMT. 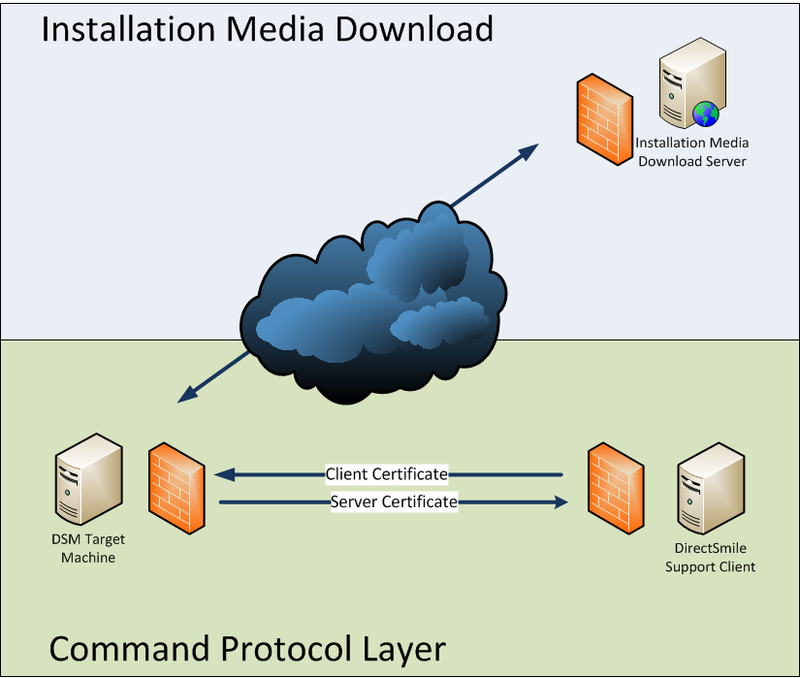 To allow the Silverlight Clients like the Workflow and the Repository Manager to connect to the DSMI server the server must provide a so called ClientAccessPolicy.xml file in the web servers root folder. 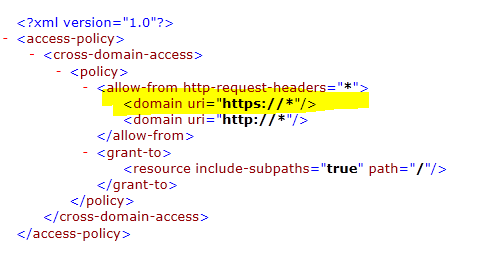 This file contains a straight forward set of rules, that tells the webs server to allow access to http/https applications or not.